“NAMAN” the National Management fest which was happened on 11th September 2015 and 12th September 2015 at IFIM Business School inaugurated grandly by Dr. Madhumita chatterji. 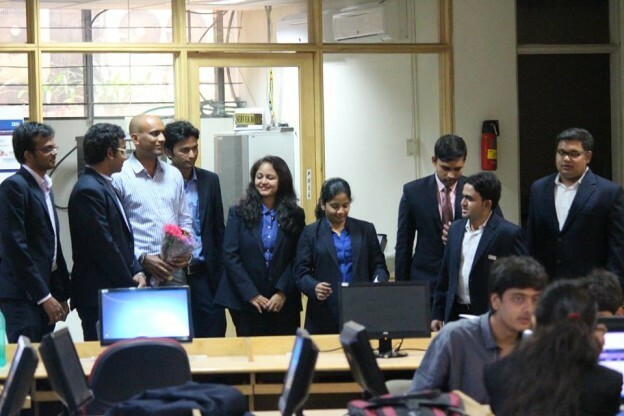 The finance event was conducted by the Alpha club members with the support of finance students from 2014-2016 Batch. The event was started at 11’o clock in the morning right after inauguration. Students who are the participants from various business schools have joined here in IFIM Business School which gave us great pleasure. We are more than happy to volunteer the event right from the beginning. There are totally 16 teams of 2 members each. The event was started with a quiz round which consists of 35 Questions based on financial knowledge. Students participated in the round enthusiastically. By this round student’s financial knowledge could be tested and also the level of standard they have. The second was a Rapid fire in which 10 minutes have been given to each team. In this second round student’s capability of recollecting and answering questions quickly was tested. Many of the students performed well in this round. And it was really a tuff task for them to recollect and answer quickly. We, as volunteers there came to know many things from this round as time management. Third round was “virtual Trading” using Dalal Street trading game. It was conducted in Computer Lab where students were given an account for each team. The task was to create a portfolio of stocks with 1 Lakh money and finally they should end up with profit and the Amount of cash used also plays an important role. Students tried their level best to get the profits in 3 hours’ time that they have been given and the students gave a feedback that the experience was awesome. The round was judged by Somsekhar reddy from Prabhudas Lilladher. Fourth round was a technical quiz which tested the depth knowledge of students. Later out of those 16 teams 7 teams were selected for the rounds on next day. On the second day of “NAMAN” Finance event was started and the students have been given a case study and the task was to present it. The final round was judged by Dr.V.Sridevi – H.O.D. of Finance & Associate Dean (Academics) and Prof.Satish Kalra-Dean (Planning & Development). Finally winners were rewarded with 15000 (INR) cash prize and runners with 10000 (INR).The event was a fantastic one which gave us a chance of meeting students from different Business schools and also to learn certain skills of management.